Recovery mission; select image for larger view. 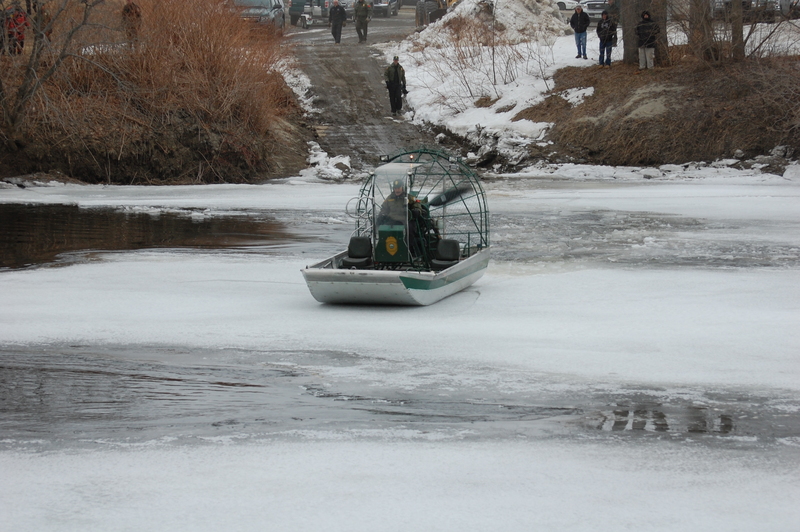 The New Hampshire Fish and Game Department’s Air Boat was acquired in 2004 through a Department of Homeland Security Grant. 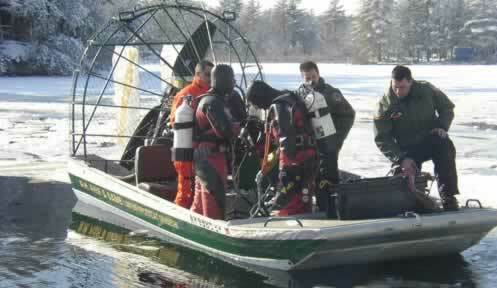 The Air Boat Team consists of 4 operators strategically assigned throughout the State. Along with ongoing training, the operators received 40 hours of in service training that involves the operation of the airboat under all types of conditions and in all types of environments. Training also includes hours of safety training, boat and trailer maintenance. 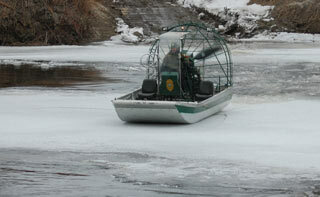 The Air Boat is capable of operating in flood conditions down to 1 inch of water and on land.